Special science-fantasy cover art for BCS Science-Fantasy Month 3. Sung Choi is a concept artist who specializes in world design and illustration for the entertainment industry. Born and raised in South Korea, he later moved to Los Angeles and attended Otis College of Art and Design where he majored in digital media. 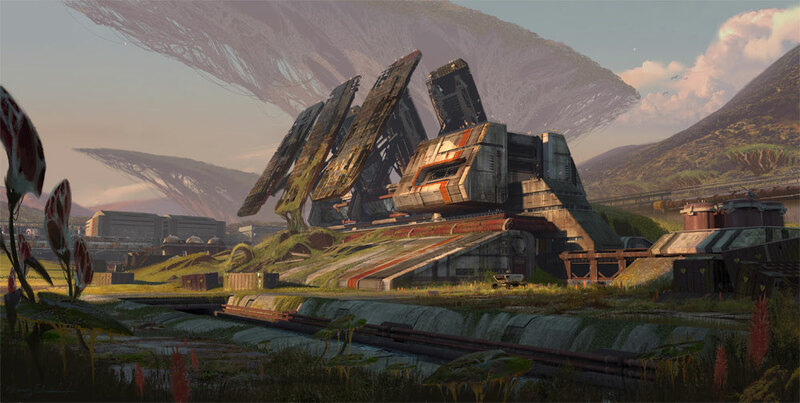 He studied environment design and has been broadening his visual library by going outside and studying nature. Throughout his challenges, Sung has focused on simplifying the subject and creating readable and compelling designs. View more of his work at www.sung-choi.com.